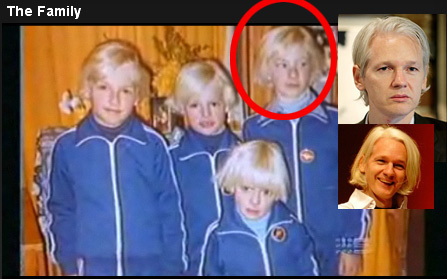 In an e-mailed comment on FTR #724 , a listener contributed this photo comparison of Julian Assange with members of the Hamilton-Byrne cult in Australia. Not being an expert on photo analysis, and lacking information about where “Joplin” got the photo, I am agnostic on this subject. However, the resemblance is evident, and we would appreciate any assistance that people can provide about this.